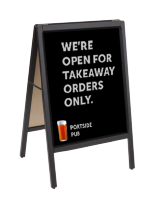 These Swinging Signs are Specially Designed for Use Outside! 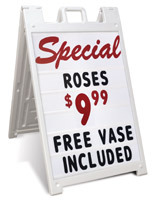 Promote Your Business by Purchasing One of Our Most Popular Signs Today! Slim design to easily roll. 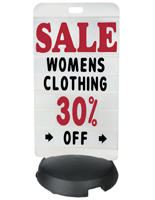 314-Piece 4" letter set makes message updates quick & easy. 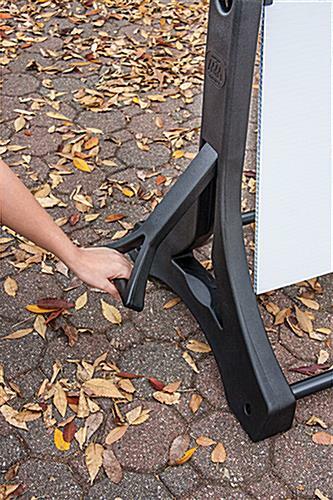 Wheels & 23" wide frame for easy portability. Base features reservoirs to add sand or water for stability. Sturdy base and plastic construction. 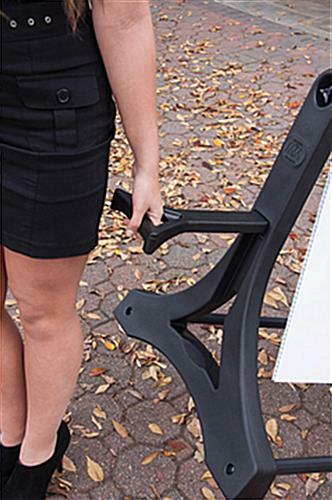 Wind-resistant build for use in winds up to 30 mph. 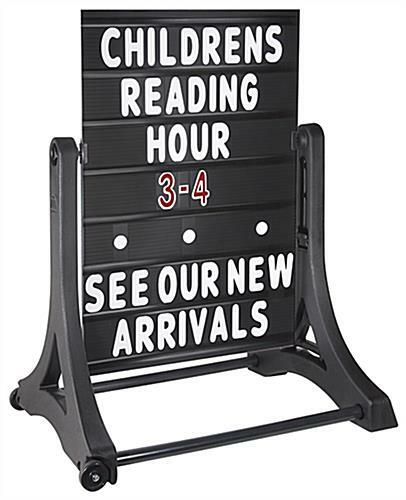 These swinging signs with black back board are specially designed to attract foot traffic outside a store or retail location. 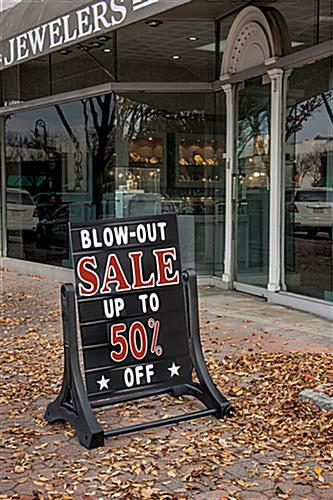 Use these sidewalk signs to display specials, ads and sales. 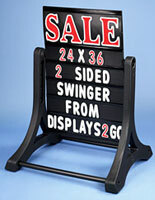 These swinging signs come with a 314-piece letter set. Each letter is 4'' tall. 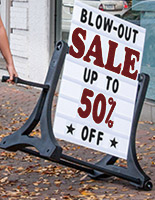 These swinging signs have seven rows to hold your cutsom message. The base can be filled with sand or water for added stability.